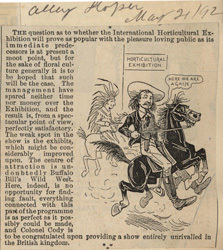 THE question as to whether the International Horticultural Exhibition will prove as popular with the pleasure loving public as its immediate predecessors is at present a moot point, but for the sake of floral culture generally it is to be hoped that such will be the case. The management have spared neither time nor money over the Exhibition, and the result is, from a spectacular point of view, perfectly satisfactory. The weak spot in the show is the exhibits, which might be considerably improved upon. The centre of attraction is undoubtedly Buffalo Bill's Wild West. 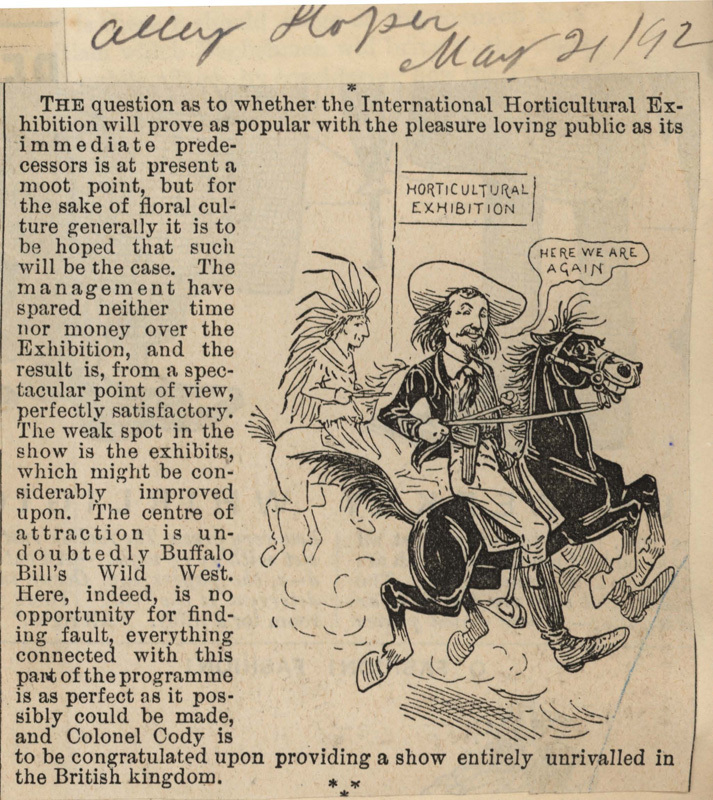 Here, indeed, is no opportunity for finding fault, everything connected with this part of the programme is as perfect as it possibly could be made, and Colonel Cody is to be congratulated upon providing a show entirely unrivalled in the British kingdom.